The 436 series is designed to safely transfer detergents, waxes, alkalis and certain acids. They incorporate the same design features as the 236 series, with valves and seals of Hypalon. 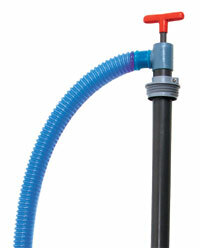 The pumps are 38” long, 1-1-2” diameter and deliver 28 oz. per stroke..
See adapter guide for proper adapter. 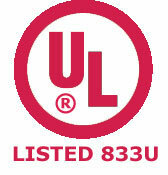 436PF SERIES UL LISTED for transferring Hydrochloric Acid (HCL) in concentrations up to 30% maximum at 100° F maximum.